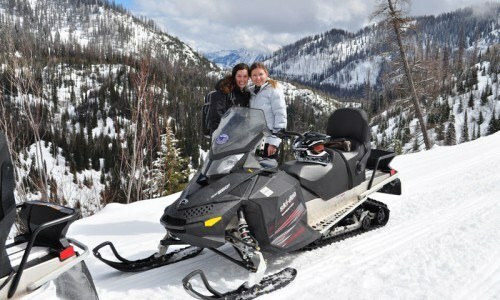 Take a day off the slopes to enjoy the scenery and deep snow via snowmobile. 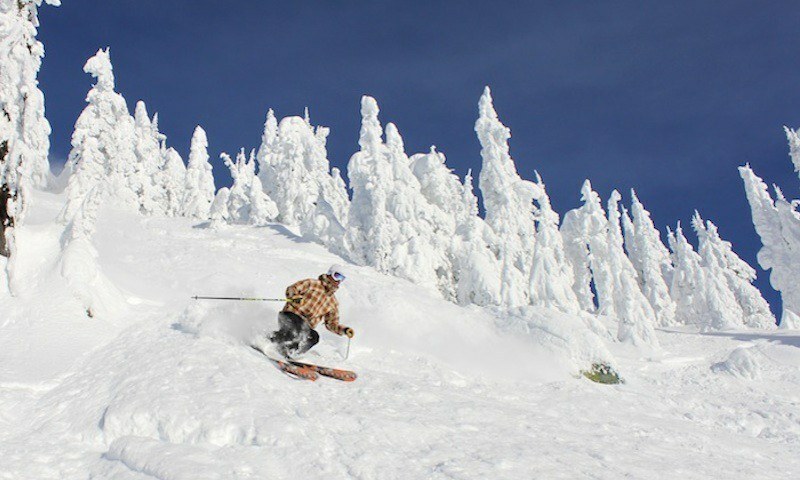 Stay and ski at Whitefish and enjoy the snowmobiling for a day. 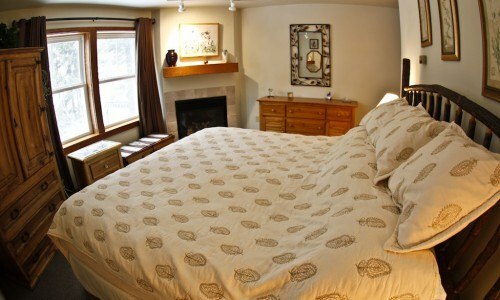 This is a 5 night/4 day package, but easy to customize with additional nights, days of snowmobiling, etc. Kintla Lodge hotel rooms have one queen bed. Amenities include underground parking, elevators, wireless internet, a large hot tub, mountain and valley views and a shared lounge area. Heated ski lockers for each unit. Canyon Creek – is great for beginner, intermediate and advanced riders alike. 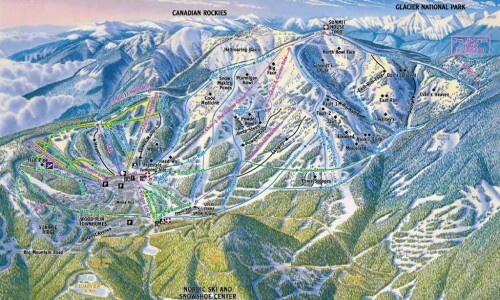 This area has 80+ miles of groomed trails and mountain riding. From summit views and lunch atop Big Mountain to the snowplay bowls of Kimmerly Basin, you have endless options at this location. Crane Mountain – has 38 miles of groomed trail riding and unlimited play terrain in mountain meadows and old logging clearcuts. 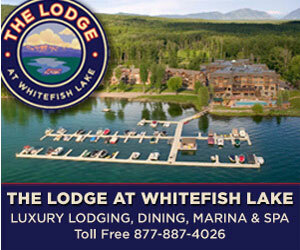 Enjoy phenomenal views of Flathead Lake and the Swan and Mission Mountains. This is priced out with pick up and drop off at Whitefish Resort, Guide and Sled, based on Canyon Creek, but may increase for other trips. Inquire about including clothing rentals. Enjoy classical western skiing, without lift lines. The mountain boasts 3,000 acres with a 2,353' vertical drop and over 300 inches of snowfall on average per year. * Price is per person, based on double occupancy. 2012/2013 prices, call or email for quote with 2013/2014 prices.